Avoidable birth injuries? at the Dante Law Firm, P.A., Medical malpractice attorneys in Florida have outlined some of the most common birth injuries and how they can be detected after the childbirth. May 03, 2018 | Under Medical Malpractice | Posted by Dante Law Firm, P.A. Pregnancy and childbirth are meant to be one of the happiest and joyful experiences in a family’s life, but negligent doctors keep taking that joy away from parents by making preventable and inexcusable medical errors that result in hundreds of thousands of birth injuries every year. Birth injury statistics in the U.S.: roughly 134 out of every 100,000 children die due to birth injuries every year, while nearly 6 out of every 1,000 children sustain such birth defects. In the vast majority of these cases, birth injuries and defects are completely preventable, which is why our Miami medical malpractice attorney at the Dante Law Firm, P.A., advises parents whose children have been born with birth defects to consult with competent medical professionals and take legal action against negligent doctors and hospitals. Are doctors liable for birth injuries? Tens of thousands of birth injuries every year could be avoided if medical professionals, doctors, nurses, obstetricians and gynecologists adhered to a higher standard of care. 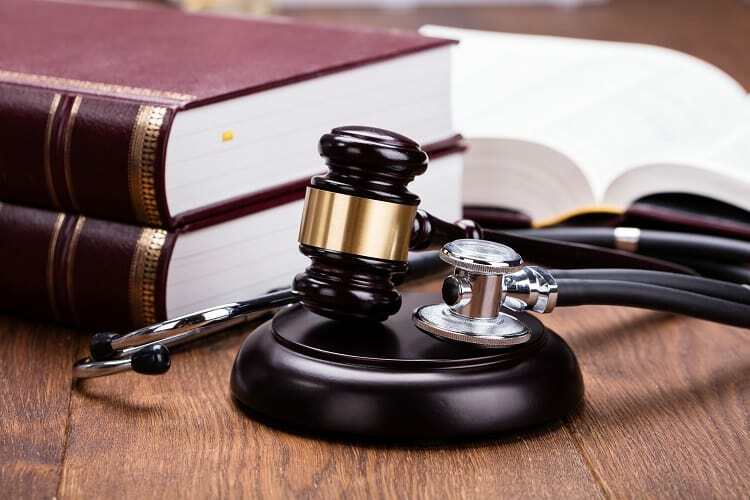 Failure to exercise that high duty of care to a patient translates into medical malpractice, which, if established and proven by your Miami medical malpractice lawyer, can entitle you to recover damages. Birth injuries range from minor to serious and life-threatening injuries. Some injuries can cause life-long suffering, while others leave children disfigured or disabled for the rest of their lives. And then there are also cases of death during childbirth. Unfortunately, there are way too many incompetent and qualified medical professionals nowadays who make terrible mistakes during pregnancy and childbirth. And then there are also good doctors who make medical errors every once in a while. We are all humans and we make mistakes, but doctors must adhere to the highest standard of care to prevent any harm, injuries, or trauma. If these medical errors happen, doctors must be held liable under the legal theory of medical malpractice. Cerebral palsy. This birth defect affects the baby’s movement and muscle coordination due to oxygen deprivation, infection or trauma. Cerebral palsy is caused by brain damage, which can be prevented with proper monitoring and early diagnosis. Signs of cerebral palsy manifest themselves shortly after childbirth. Brain damage or development delays. One of the most common birth injuries in the United States, which can be prevented after examining a baby in utero and taking reasonable measure to avoid development delays or brain damage. Wrongful death. Negligent examination or failure to detect health complications on the part of an obstetrician or any other doctor responsible for the monitoring and child delivery often result in the death of the mother, the child, or even both. Placental abruption. Acts of medical malpractice during the delivery of a child can cause placental abruption, which is the separation of the placenta from the uterine wall. As a result, the child may suffer from oxygen deprivation and lack essential nutrients, which can lead to premature childbirth, stillborn or birth injuries. Some birth injuries can be difficult or impossible to detect immediately after the baby was born, which is why it is highly advised to monitor your and your baby’s health in the days and weeks that follow childbirth. Here at the Dante Law Firm, P.A., we retain some of the finest medical professionals who will not miss a single sign of birth injuries and will prevent any additional harm to your baby. Our Miami medical malpractice attorney, meanwhile, will help you take legal action against the negligent doctors to seek damages. Contact our law firm to get a free case evaluation about your particular case. Call our offices at 305-949-2526 or fill out this contact form today.